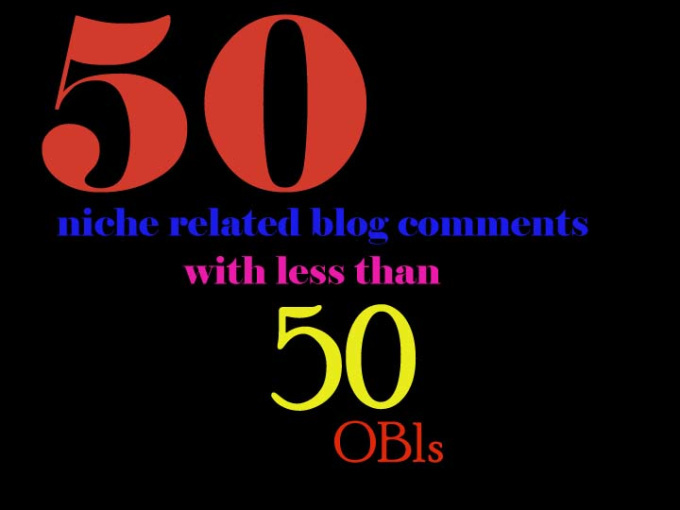 Hey SeoClerk Member After getting Too Many demands Of our Clients we Introducing We service The Niche Relevant blog Comments 100% Unique Low Obl natural blog, With hand me Article related to your niche this make More natural. Guys don't forget Google Love Niche Relevant backlinks. I will gave you 50 unique niche relevant backlinks from biggest best blog websites On the World..! !